OPEN and Duke Energy would like to invite you to the 2018 Future City Thought Leader Kick-off on Thursday, September 27th at 4:00 pm at the Iberian Rooster. This group will gather professionals and community members interested convening to envision and build a smart, sustainable, inclusive city for the future. If you’re ready to: foster the development of cohesive community dialogue around social justice, business, urban planning and city design, and create a critical mass of thought leaders that drives this dialogue year-round, (in turn providing insights to key leaders and policy-makers), this is the Theme Leader kickoff for you! 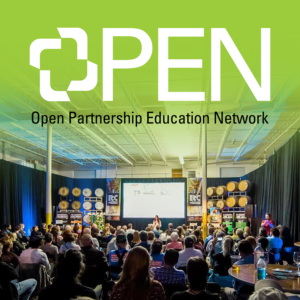 The OPEN team will be facilitating brainstorming sessions and discussions to help discover what inspiration and resources our community needs to move the needle forward. These kickoff events are opportunities to connect with like-minded individuals, have conversations about issues and opportunities in our city, and come up with sustainable solutions that help our community evolve. 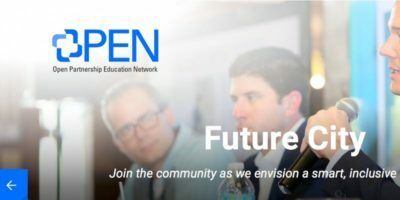 Your participation is what helps this theme thrive and cultivate a community of connected citizens learning and growing together. Please join us if you’re available. You can RSVP through the link above. So what’s YOUR dream, idea, challenge, solution, innovation, or hope for St. Petersburg and beyond? 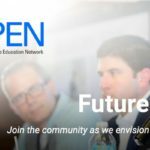 Bring it into the OPEN – and join us for the OPEN Future City Thought Leader Happy Hour!